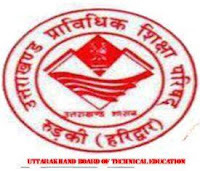 Uttarakhand Bandirakshak Written Exam was held some month before and as of now the Uttarakhand Board of Technical education Roorkee has declared the results of all candidates in its official website. So now all the candidates can check their written exam results of Bandirakshak online. For results below I am giving you some links by which you can get your results or marks details online. So check the given points. · First of all open the official website of Uttarakhand Board of Technical Education Roorkee. Ubter.in. · Then check the Bandirakshak results 2013 link on the site. · After that click the link and you will be redirected to results page. · So type your roll number on it and click to submit. · After all you will be able to check your marks details or result. If you not find the results by the website then simply just click the given link of results page. Click here to go directly to results page. Stay connected with us for more updates about exams, results and recruitment in Uttarakhand. You may also follow us by email subscription and also like us on Facebook to get all our updates on your Facebook status.